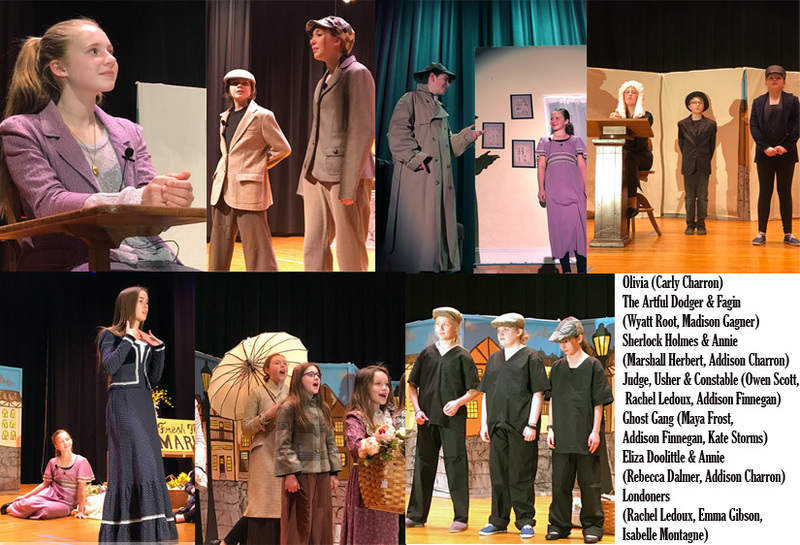 In April, 31 SATEC students in grades 4th-8th were involved in creating and presenting “Olivia”. This brilliant and innovative show, set in Victorian times, traced the steps of Olivia, from downtrodden orphan to star of the stage. On her journey to the bright lights of London, she was befriended by Eliza Doolittle [from “My Fair Lady”] and, after a series of adventures, became a singer in a new Gilbert and Sullivan show, thanks to the unlikely assistance of Fagin and The Artful Dodger.